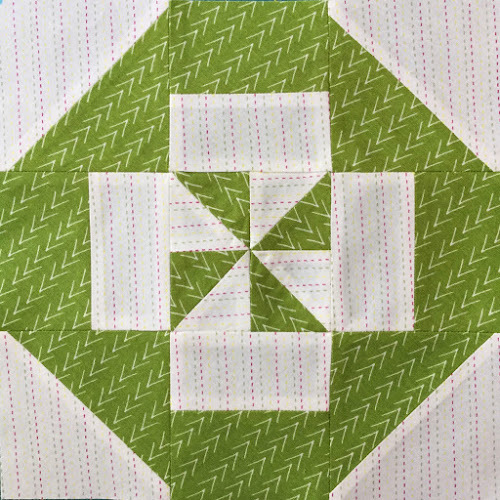 This sampler has 12 blocks in it, all of them made from a pinwheel block cut into a 9-patch block an rearranged to obtain 11 different blocks. More variations are possible. 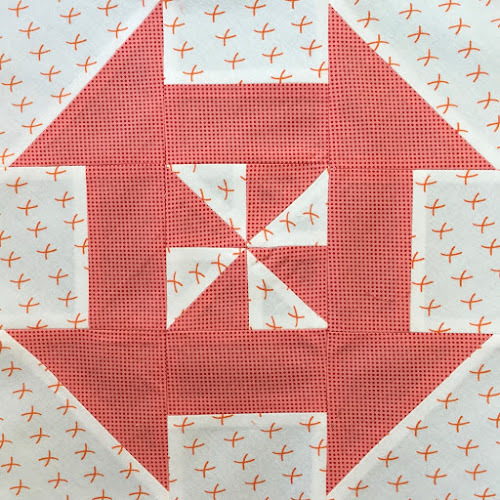 The block is 10 1/4 inch square. 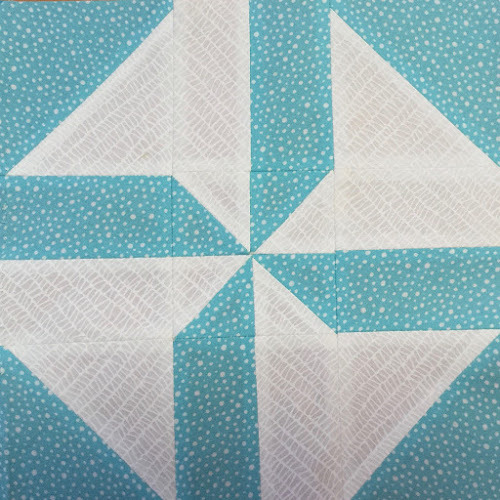 The initial 4 half square triangles (HST) obtained need to be trimmed to 6 inch squares. 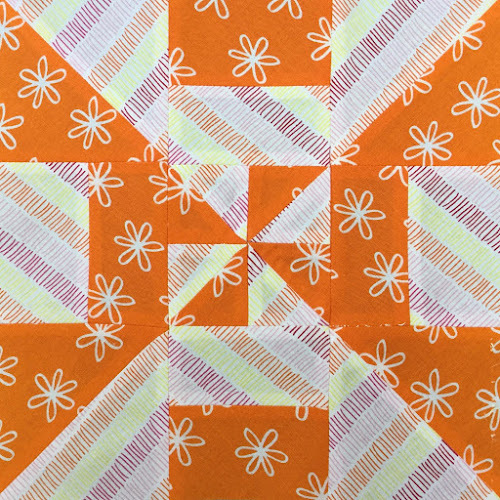 Disappearing pinwheel block – variation 11 – make 2 blocks in different colours. 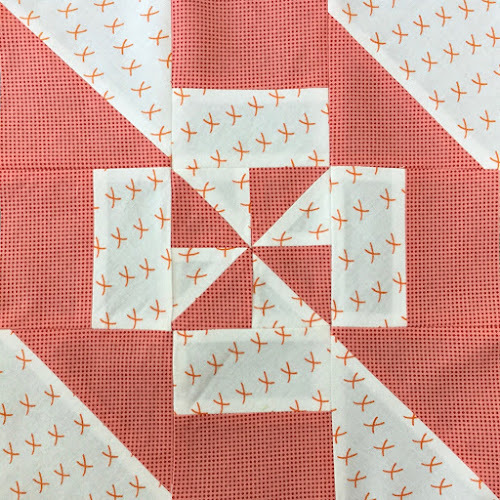 Add a border to each block. And sew as shown on the picture below. 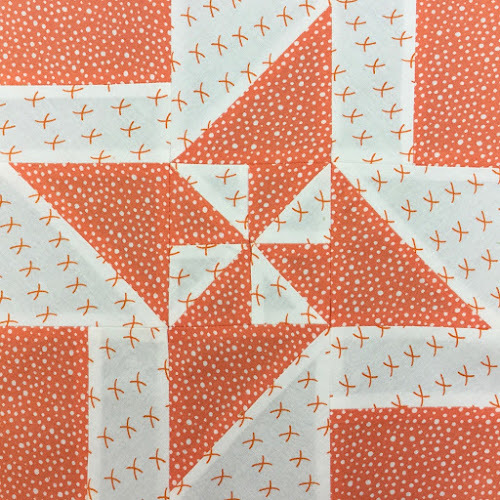 Each block is quilted individually with free motion quilting. 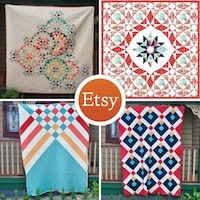 This quilt is put together with quilt-as-you-go (QAYG). 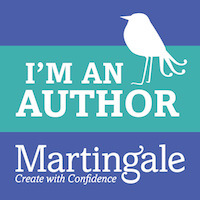 The binding length is 170 inches. 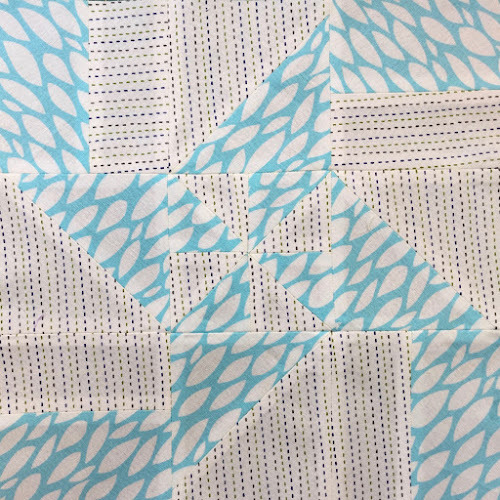 The quilt is finished with machine binding and a flange. And finally, sew the binding by machine. 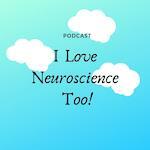 I accidentally ran into this site and wow am I glad I did, great tutorials, and easy to understand. Not able to download free pattern. Were do you get the extra 1/2″ needed for the centre square? Hi Gillian, for the centre square? Thanks Gillian. I had a mistake in my sizing. The strips are 10 1/4 x 2 1/2 not 10 1/2 inch. Accidently found this site and I just love it. So much information for us beginners! Thanks, keep up the good work. Looking forward to your tutorials. Thanks so much! 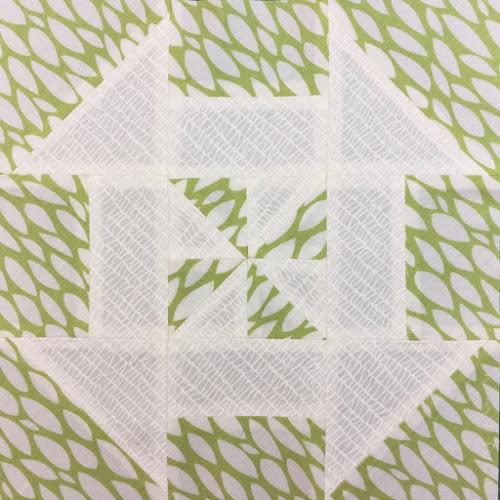 I stumbled across your site last night, and as soon as I could I’ve started making this amazing looking quilt. However I’m stuck. 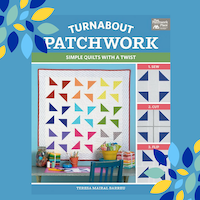 Your pinwheel before you cut it looks to be 12″ and then you cut it at 4″. 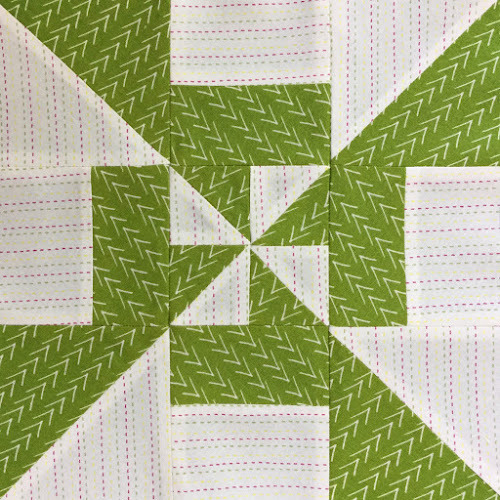 However, my 6″ squares only sewed together to make a 11.5″ pinwheel block. 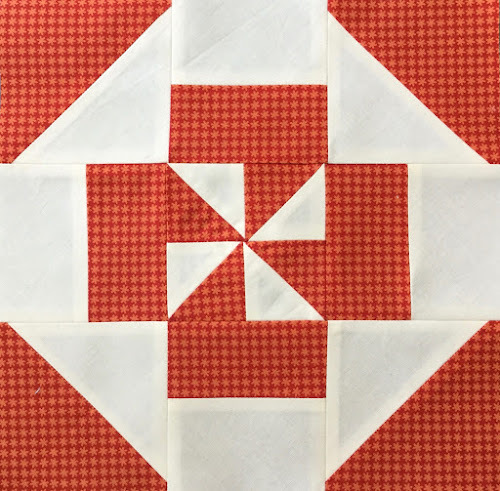 I’m going to try 2 things – remaking the pinwheel with 6 1/4″ squares, and trying to figure out how to cut my 11.5″ block into three even pieces.